The Information Technology department at Emory Law oversees the technology infrastructure that allows faculty, students, and staff to be productive and creative partners in the field of legal education. 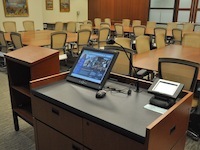 We manage the computing hardware and software used at the law school and classroom technology. We also partner with the university at-large to meet other technology needs of our community. Emory Law boasts a robust network environment with more than 50 wireless access points as well as a gigabit Ethernet wired network. Emory Law IT supports approximately 200 Mac and Windows computers and we provide desktop troubleshooting support for about 1,100 individuals. The Emory Law IT unit and help desk staff assists law school students, staff, and faculty with technology-related issues. 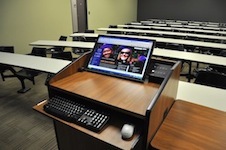 If you need classroom technology help, please visit the Classroom Technology section (below). Visit the University IT Knowledge Base to see if your issue is posted with a resolution. Or visit our FAQ section for information specific to Emory Law. Submit an email request for help to lawhelp@emory.edu. Submit an online request to the Service Management portal. Call 404.727.7777 from 7 a.m.—6 p.m., Monday—Friday. Visit us for walk-up service at the MacMillan Law Library service desk on the main floor of the library from 10:00 a.m. to 4:00 p.m., Monday—Friday. MyPassword: to change your password, email address alias, or check your spam filter. OPUS: to check your student information and add money to your EmoryCard. Emory is transitioning to Canvas as its learning management system ("LMS"). To log in to Canvas or Blackboard (which will be retired soon), visit http://classes.emory.edu. University Knowledge Base: to check the University Knowledge Base for solutions to common computing issues. 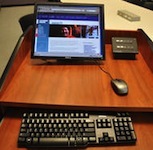 Visit Student Digital Life to get an overview of student computing services available at Emory. You must connect to EmoryUnplugged for wireless access, not Emory Guest. EmoryGuest does not work with our exam software. Follow these instructions to configure common laptops and mobile devices. You may also be prompted to install the Bradford tool – this is a legitimate additional security layer for the Emory network. The default printing setting is two-sided for both Windows and Mac users. Login using your Emory netID and password. NOTE: You will probably see warnings asking you to agree to the software license agreements on software express. Please select “Agree” down below. Under Microsoft Windows download the EaglePrint.exe and double click to install the Student Printers. Verify printers are installed by going to Start, then Devices and Printers. You will see EaglePrint_BW and EaglePrint_Color if you've successfully installed. Visit it.emory.edu/software and select “Software Express"
Under Apple Macintosh download the EaglePrint.dmg and double click to install the Student Printers. Go to the Finder sidebar and click on “EaglePrint" in the Devices section. Click “EaglePrint.pkg" to install the print software. You will need to click "OK" a few times, and you will need to supply your Mac password in order to install the software. You should receive a message that installation was successful. If you go to System Preferences, and then Printers and Scanners, you will see EaglePrint_BW and EaglePrint_Color after a successful installation. If you wish to receive Emory emails to your smart device, you must adhere to the mandatory security policy. The policy will force you to set a passcode on your device and will be able to remote-wipe your device after ten failed attempts to unlock your device. Go to software.emory.edu/express and log in with your Emory credentials. In the Macintosh Software section, you will see Emory McAfee 0.8 Student. In the Windows software section, you will see McAfeeVSE88 std. Choose "Student" in the dropdown list during the installation. There are always two steps to getting access to shared folders on the law school file server. First, you have to get connected to the Emory network (either from off-campus or via EmoryUnplugged), and second, you have to access the particular path to your folders. If you wish to connect from off-campus (home, café, etc. ), you will have to establish a VPN (Virtual Private Network) connection into the Emory network. A VPN connection essentially mimics your connection as if you were on campus. Once you have successfully established a connection, see instructions below in "Accessing your folders." In the "Search programs and files" folder, copy and paste the appropriate path from the list below. You will see the sub-folders to which you have been granted access. If you successfully log in, you will see your folder (or folders) appear. To create a shortcut to a shared folder, drag the folder icon to your desktop. This works for any folder. If you wish to connect from off-campus (home, cafe, etc. ), you will have to establish a VPN (Virtual Private Network) connection into the Emory network. A VPN connection essentially mimics your connection as if you were on campus. Click "Connect to Server" or press "Command+K." Copy and paste the appropriate path from the list below. Click on the "+" button to save the path to Favorite Servers. Select "Remember this password in my keychain"
Bring the original restore disks that came with your computer with you to Atlanta. We can't help you restore your system unless you have them. If your computer didn't come with restore disks, then it probably has a restore partition. There is a utility provided by the manufacturer that will enable you to restore your system or create restore disks. Use that utility to create a restore DVD or similar. Back up your documents frequently! We really mean this - get a thumb drive or an external hard drive and use it. Sign up for a Dropbox account or get familiar with GoogleDocs. The Registrar's office manages all aspects of the exam process. You can quickly and easily transfer funds to your account by logging into OPUS » Go to "Finances" and click "Make an EmoryCard Deposit." Your deposit will normally post to your EmoryCard within one hour! But I'm working for a professor as an RA this year; how do I print for them? Simple! You'll still need to fill out a proxy/RA form for the use, but if you need to print or make copies for a professor, simply take your files on a thumbdrive or the materials you need copied to IST, and they'll do the work and bill it to the professor's account. We'll make sure they have a list of all student RAs and which professor they're working for. But I'm on journal this year; how does that work? Rather than a separate journal log-in, each journal will have a dedicated user card kept at the desk so when you're ready to print you can just go check out the card from the desk. These cards may not leave the law library, so if you're doing work at other libraries on campus, please save your work and print it here (this will enable everyone who needs to print for journal work to do so with minimal delays). But I lost my ID last year, so I don't have one . . .
You'll need to get a replacement from the Emory Card Office. Since you need your ID for printing and building access, you'll want to get the replacement as soon as possible. Please make sure you are on campus and connected to EmoryUnplugged! Instructions are based on Windows 8. 1. In Start Screen, press "Windows key+R." The Run dialog box will appear. 3. Double click on the printer you wish to connect to. Refer to the table below for information. Instructions are based on Mountain Lion. 1. Go to System Preferences, and then Print & Scan. Make sure the preference pane is unlocked. 2. Click on the plus sign to add a printer. 3. 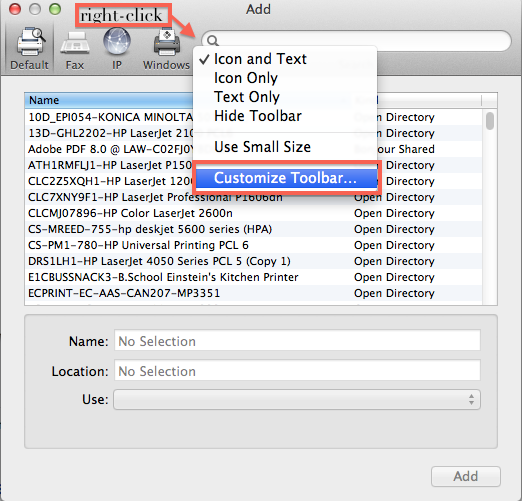 Right-click on the toolbar and select "Customize Toolbar." 4. 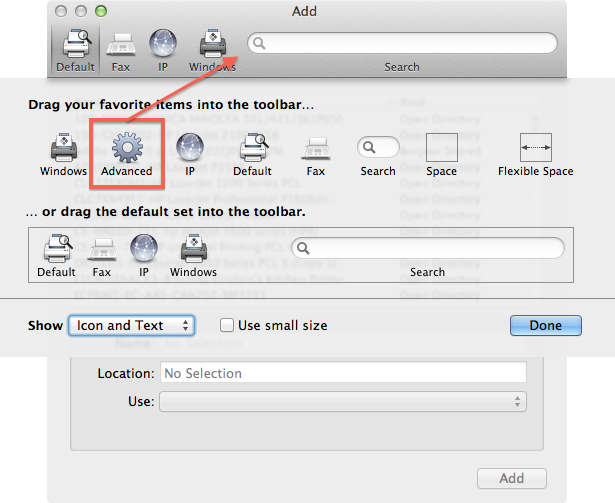 Drag the Advanced item into the toolbar next to Windows and click "Done." 5. Click "Advanced," wait for options to load, and select LDP/LPR Host or Printer type. 6. Fill in the appropriate fields with the information below. 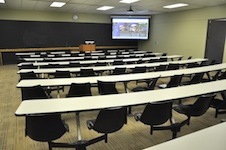 Emory Law provides a forward-thinking classroom environment where faculty and students have access to a variety of teaching technologies. Our classroom technology team is always interested in evolving technologies and are available to discuss their integration into the existing classroom model. 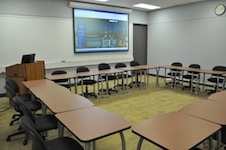 Office Hours: Mon–Fri 8:30 a.m. to 5:00 p.m.
Video Conferencing: The law school utilizes IP-based video conferencing. Please give one week notice so that proper testing can be done with the far-end site. Please use this Wufoo request form. Skype: We can set-up a webcam for Skype in any of the classrooms. The user should have a free Skype account, and must add the Skype user on the far end as a contact. Audio Conferencing: We have conference phones available. 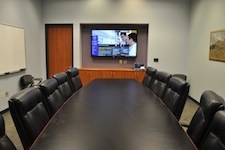 Rooms with phone lines are 5G, 1F, G114, G575 and M501 If you are audio conferencing with more than a single location, you will need to request access to one of the university bridges by calling the switchboard at 404-727-6123. There's a small black Touchpanel box on the top of podium. 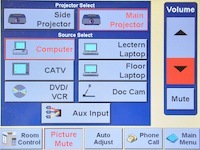 Press "Display On" to power up projector (see instructions/password on podium). Computer may be asleep. Press mouse or keyboard to wake it up. Password: (see instructions/password on podium). 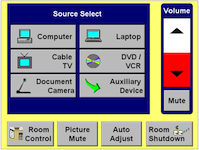 You have a number of choices on the Touchpanel: PC, laptop, DVD/VHS. POWER DOWN PROJECTOR WHEN FINISHED. Computer will go to sleep. Do not power off. Scott Andrews is responsible for classroom technology operations. He can be reached on his cell phone at 404.561.6062 if you are having a problem. Corky Gallo can be reached at 404.727.5310 or 404.987.5152. Control Panel may be asleep. Touch it to wake it up. You will be prompted to enter the code. This will power up the projector, lower the screen, and unlock the podium doors. All the typical programs are loaded. There is a USB cable coming out of the top of the podium to plug your flash drive into. Sources: You also have a VHS/DVD player, a laptop connection, and a document camera. 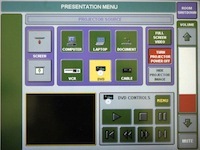 Power Down:press"Room Shutdown" on the touchscreen. This will raise the screen, power down the projector, and lock the podium doors. Computer will go to sleep. Do not power off. 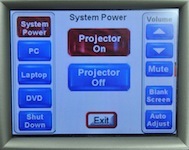 Press "Display On" to power up projector (no password needed). Password: there is no password, just hit ENTER. All the typical programs are loaded. There is a USB cable coming out of the top of the podium to plug your flash drive into. Power Down: press "Room Shutdown" on the touchscreen. 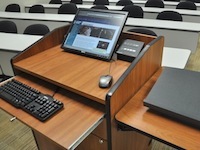 This will raise the screen, power down the projector, and lock the podium doors. Computer will go to sleep. Do not power off. All of the typical programs are loaded. There is a USB cable coming out of the top of the podium to plug your flash drive into. Sources: You also have a VHS/DVD player, a laptop, and a document camera. POWER DOWN PROJECTOR WHEN FINISHED. 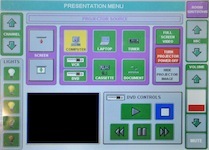 Press "Room Shutdown" on the touchscreen. This will power down the projector and lock the podium doors. Computer may be asleep. Press mouse or keyboard to wake in up. All the typical programs are loaded. 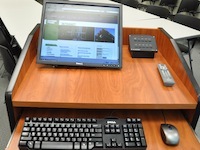 There are USB ports for your flash drive on top of the podium and on the sides of the monitor. Sources: You also have a VHS/DVD player, a laptop connection, and a document camera. You also have the option of showing a second screen with a separate source. 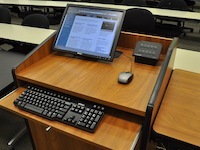 The Emory Law School Information Technology Department (“ELS IT”) provides limited assistance with student computers. 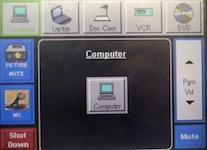 Because of variations in computer systems and installed software, ELS IT will only spend a maximum of two hours per incident on student computers. 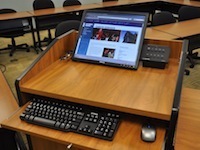 ELS IT supports a single computer provided to faculty and staff members. ELS IT does not provide assistance with personal computers owned by faculty or staff or other non-students. ELS IT does not do hardware repairs or replacements. Users should contact the manufacturer regarding hardware repairs or visit a third-party IT support service. The student must be currently enrolled and the owner of the personal computer submitted for diagnosis and repair. The student assumes all risk of loss from any and all causes or in any way related to or resulting from the repair or service by ELS IT. The student acknowledges that he or she has backed up any and all data before relinquishing the personal computer to ELS IT. Upon request, the student must provide any relevant and official recovery or operating system software for reinstallation, as well as information such as passwords, serial numbers, and the like. Student agrees to work cooperatively with ELS IT to resolve the issue. ELS IT will not work on computers with unlicensed software installed. 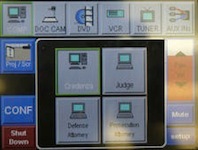 The student agrees to put the personal computer into an English-language mode at the request of ELS IT. Any antivirus software other than the university-provided antivirus software may be removed, regardless of whether it was previously purchased by the student. The University-provided antivirus may be installed and updated. 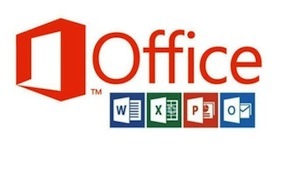 If the problem is related to Microsoft Office, ELS IT may remove and reinstall Office applications, regardless of whether they were previously purchased by the student. Software deemed to pose a security risk may be removed, in the sole discretion of ELS IT. Any third-party firewall application will be uninstalled and an operating system supplied firewall may be activated. A suite of freely usable anti-spyware/malware and maintenance software may be installed on the student’s computer. ELS IT, at any point and in its sole discretion, may decline to continue to attempt to resolve the issue when further efforts appear fruitless, or when the student is not able to cooperate in resolving the issue. Computers will be attended to in the order in which they are received. ELS IT will spend a maximum of 30 minutes assisting faculty, staff, and students with cellphones, tablets, and other non-computer devices. 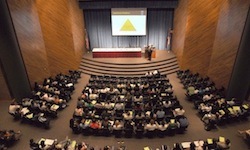 Support for non-computer devices is limited to assisting in getting devices connected to the Emory wireless network and helping with configuring Emory email. 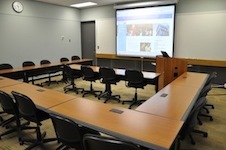 There is a computer lab located on the second floor of the library. 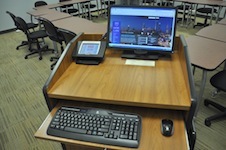 Use of the lab is limited to current Emory Law School (“ELS”) students, faculty, staff, and guests (“users”). Use by other persons is prohibited. Lab computers may not be saved or reserved in advance for individual use. Staff members are authorized to make any computer that is unattended for more than fifteen minutes available to another user. Users may not tamper with the lab printers or attempt to add paper or toner. Users may not install any software program or utility on any law school computer nor tamper with, alter, copy, or delete any software program or utility from any law school computer. Files saved to law school computers are subject to deletion without notice. Users are responsible for saving their data to USB memory devices or to online services such as Box. 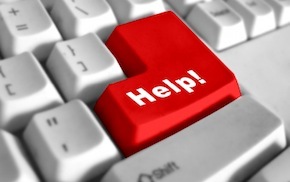 In the event of problems with law school computers, users should seek help at the ELS help desk on the second floor of the library. Alternatively, users should visit http://help.emory.edu/ or email mailto:lawhelp@emory.edu for help. 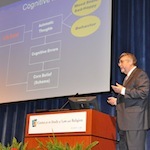 Misuse of computer or network resources, including but not limited to: use of another individual's identification or password; using computer or network resources to send anonymous, obscene, unwanted, harassing, or abusive messages; using computer or network resources in violation of copyright laws; use of computer or network resources to interfere with the normal operation of the university computer system; or any other violation of policies established by the Library & Information Services Division or Emory University is prohibited.